FALL RENOVATION JUST COMPLETED!! NOW FEATURING 4 BDRMS ON 2ND FLR FOR A TOTAL OF 5! 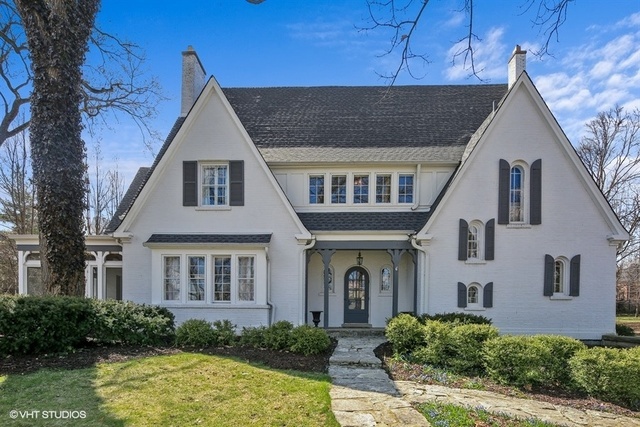 THIS ENDURING HINSDALE CLASSIC SITS ONA 100'X180' LOT, SURROUNDED BY SOME OF THE AREA'S MOST IMPRESSIVE HOMES. METICULOUSLY RENOVATED, THIS 5 BDROM, 4.2 BATH HOME BOASTS CHIC BESPOKE FINISHES ACROSS 4 BEAUTIFUL LEVELS, SPRAWLING LAWNS & A BRAND NEW 2018 ROOF! THE MAIN FLR FEATURES A GOURMET KITCHEN, CENTER ISLAND, BREAKFAST RM & STYLISH BUTLER'S BAR. THE OPEN PLAN FLOWS TO A FORMAL DINING RM & GRAND FAMILY RM W/GS FIREPLACE & CUSTOM BUILT-INS. THE 1ST FLR CONTINUES W/A SUN-LIT OFFICE, LIBRARY, SCREENED PORCH, AS WELL AS A SPACIOUS MUDRM W/ NEW W/D. THE 2ND FLR COMMANDS AN IMPRESSIVE MASTER SUITE W/MARBLE BATH, SEPARATE SHOWER, DBL VANITY, SOAKING TUB & GRAND DRESSING RM W/ISLAND & NEW W/D. THE UPPER FLRS CONTINUE W/4 ADDT'L BDRMS & 3 FULL BATHS. THE LL FEATURES A REC. RM, PLAY AREA, WINE CELLAR, 1/2 BATH & NEWER CARPET. EXT FEAT. INCLUDE PROF. LNDSCP, FENCED YARD, NEW BLUE STONE PATIO & 2.5 CAR GARAGE. I was searching on Blue Fence and found this listing. Please send me more information about 810 Taft Road , Hinsdale, Illinois 60521. Thank you.